wheels through time | I JUST WANT 2 RIDE!! Waking early for our 630AM kickstands up we rolled out of bed and got dressed for the day. Our first stop was the Mast General Store in Valle Crucis, NC. The store is a great example of the old time general store and has been in operation since 1882. It is still the local store, post office and community gathering place. This was a very cool stop, make sure to ask about the “chicken chute” when you visit to see how people bartered for goods “back in the day”. 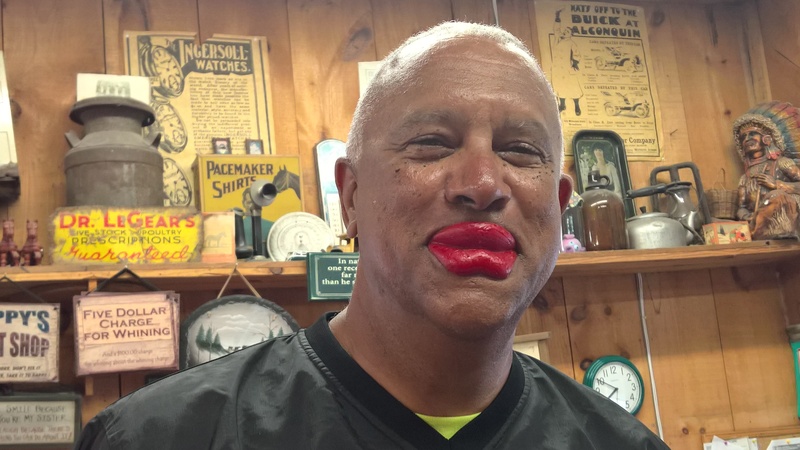 Mike got a lot of mileage from these simple wax lips! We also swung by the Mast Candy Store. The store focused on old school candy like wax bottles and lips, Bit’O Honey, caramel chews and pretty much any type of candy from your childhood. Of course we had to buy back some of our childhood, one of our new friends (Mike) bought some glossy red wax lips and proceeded to scare and delight riders the rest of the day. Rolling out of Valle Crucis we hit the Diamond Back! Our route took us about 2/3rd of the length of this snake. This 38 mile diamond shaped loop includes NC 226A, US 221, Toms Creek Road, NC 80 and the Blue Ridge Parkway. Riding through Little Switzerland on our way to the Mountain Gateway Museum (and lunch) was one of the highlights of the day. One of the low lights of the day was zipper of my Kevlar pants blowing out (as well as a pocket). The rest of the day the crew we were riding with (Mike, Dale, Stacey, Tori and Don) would occasionally call me McFly….sad day indeed! The next stop was the Mountain Gateway Museum where I found out there was a Spanish Fort in this area well before any English or French outposts, very interesting. 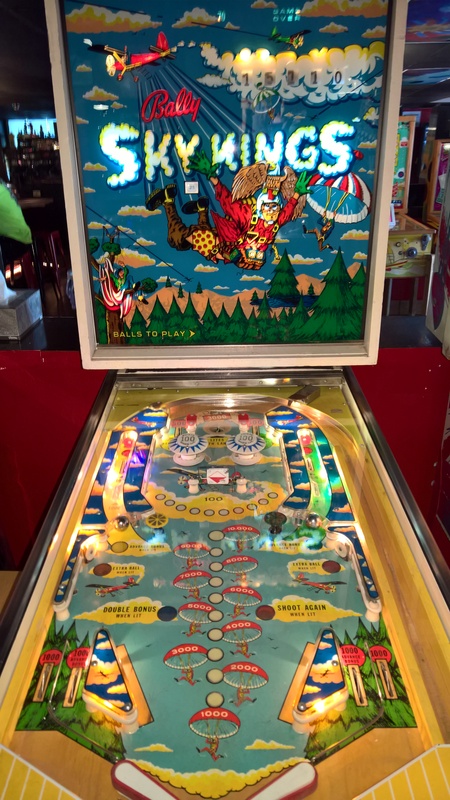 After lunch at the museum we rode to Asheville to check out the Pinball Museum. If you are into classic to modern pinball games or 1980s video games that are fully playable this is your place. I had a lot of fun playing a vintage 1978 KISS pinball machine then jumping over to an 2015s KISS machine was completely awesome! I could have spent hours in there…sad that I don’t but glad I don’t live in Asheville I would spend a lot of money at the pinball museum. Back on the bike we rode a little more than an hour to the Wheels Through Time motorcycle museum. Debbie and I visited Wheels Through Time last year when on vacation. 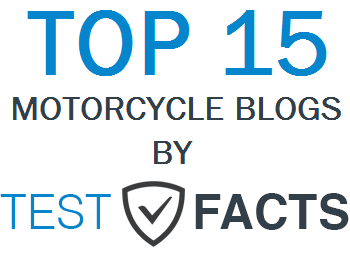 It is an awesome facility that every motorcycle enthusiast must have on their list of sites to visit. This time, because we were part of the HOG rally, we got to spend more time with the owner Dale as he told us stories about how he acquired several of the very rare bikes in the collection. This time we also got to hear the story of the Traub motorcycle, a one of kind bike found sealed behind the wall of an apartment building. I will write a separate post on this story. After Wheels Through Time we rode on to our hotel in Hendersonville, NC. We met our new friends for drinks and laughs and then off to bed. Day 7 brings the Dragon. To see what happened on day one check out that post! Motorcycle TV: What’s in the Barn! If you have not noticed there have been no new “What’s in the Barn” motorcycle TV shows. That is because it was canceled by the Discovery Channel. I know this because I talked to Dale Walksler, star of the show, while I was on our motorcycle touring vacation. I met Dale when we stop at the “Wheels Through Time” motorcycle museum in Maggie Valley, NC. My reviews were not five star but that was more due to the production not the content. After a few days chill-laxing on the beach (Part 1)….without the excitement of sharks, we packed the bike up and headed to Smokey Mountains. In particular, we were headed to Maggie Valley, NC and the Wheels Through Time Motorcycle Museum. What should have been a 5-6 hour ride turned out to be a nearly twelve hour ordeal. Unfortunately there were multiple accidents on our route, one of which resulted in multiple deaths and closed Interstate 26 for about 8 hours. The reason for the wet t-shirt contest was we became tired of putting on and removing the rain suits. 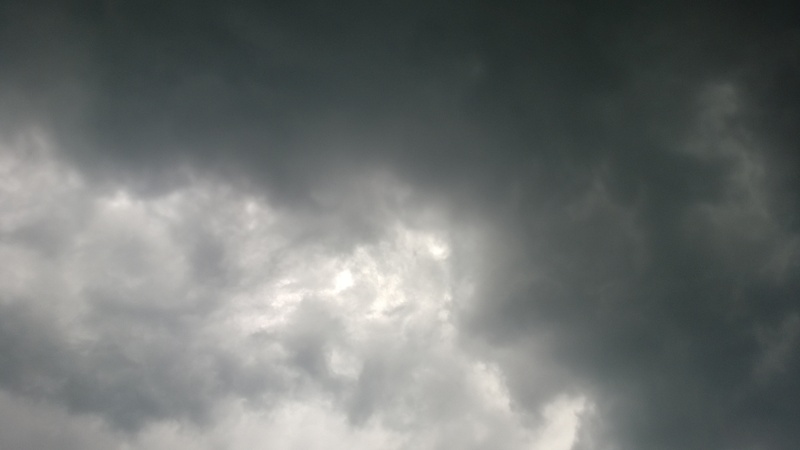 If it was not raining the sun made the suits intolerable and the last shower…we just decided to ride through. One highlight of the day was, I thought, the built in infotainment system. The system worked very well, within the limits of the road network, and rerouted us through different parts of South and North Carolina. With the exception of a 30 mile section of I26 we were on the move most of the time. But that 30 mile section left my clutch hand very tired and sore (I required a couple of pain pills that evening). At dusk we gave in and got a room about 8PM and hoped for an early start to get to Maggie Valley. We left the hotel for a quick McDonalds’ breakfast the next morning and met another couple on their own bike vacation. They were on the return leg of their trip, headed back to north Indiana on their GoldWing Trike. Back on our bike we were at Maggie Valley and the museum within an hour. If you love motorcycles then you must visit the Wheels Through Time Museum. The bikes that Dale Walksler has assembled is nothing less than fantastic. But, what puts it over the top is that they all run, in fact he started a couple while we were there! He rode a 1930’s Harley trough the main lobby and out the front door. We also saw him riding a 1920 Harley with youngster in the side car. Unfortunately Dale’s Discovery TV show “What’s in the Barn” was canceled. There is no way that I can do justice to the quality of these museum with just a few paragraphs. If you are in this area of North Carolina/Tennessee for the awesome riding you must stop by and check out what the museum offers. After a few hours we needed to mount up and put some miles down. This day the weather was perfect for riding, cool, clear and wonderful. 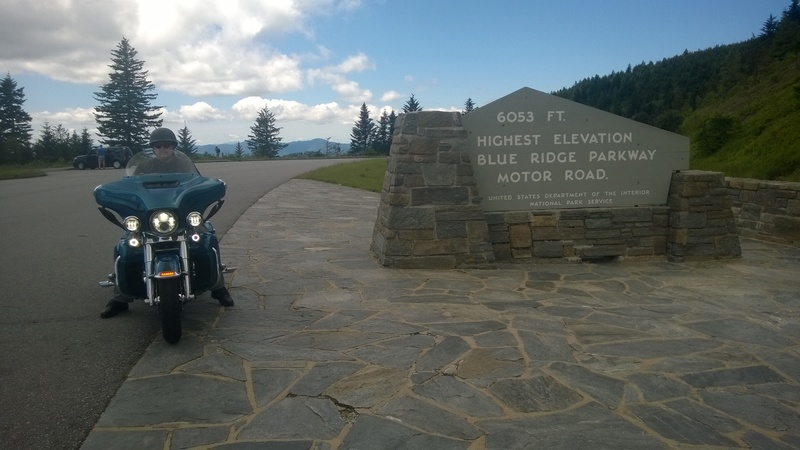 We were headed to the Blue Ridge Parkway but decided to ride through the Smoky Mountain National Park and the Cherokee Indian Reservation to stop by Cherokee Harley Davidson, where I picked up another pin. We jumped on the Parkway and headed north crossing the highest point on the parkway and riding through multiple tunnels. 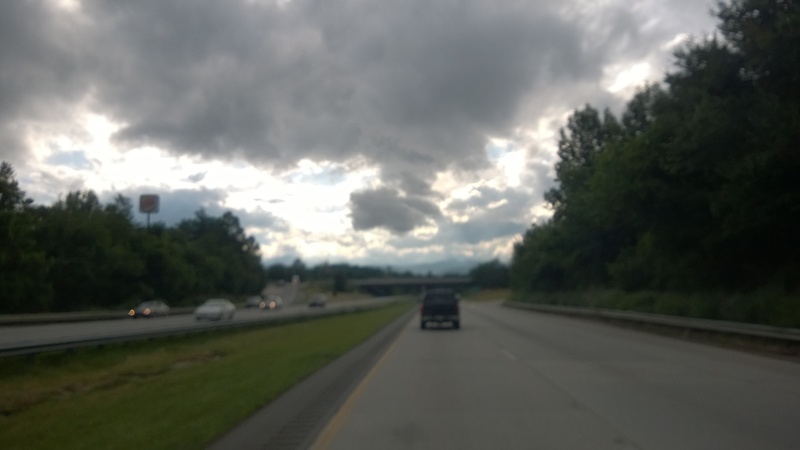 Although the speed limit is 45 MPH the parkway is still a great ride with awesome views of the Smoky Mountains. We either passed, or met at the overlooks, several hundred other bikers out for a great ride. Today we left the beach and headed to the Wheels Through Time Motorcycle Museum in the Blue Ridge Mountains. BUT what should have been an easy six hour ride turned into a long, hard slog. Plus when it was not raining it to hot wear the rain suits.. thus the wet t-shirt contest. 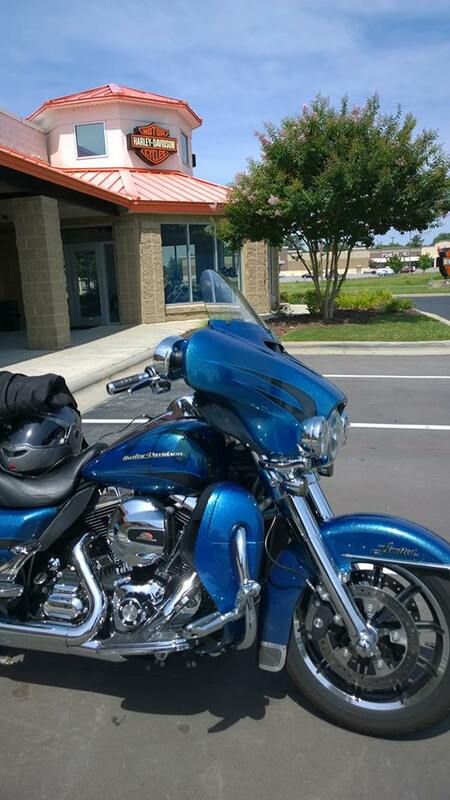 We stopped at a few Harley Davidson dealerships in a failed attempt to wait out the congestion and cool off. The cooling part worked but the congestion never really let up, a couple bad accidents missed up our ride today. We had hoped to make it all the way to Maggie Valley but ended up about an hour out when we stopped for the night. Debbie and I left the house at about 6:30 AM this morning on our way to Myrtle Beach (as a first stop, more on that late). We had looked at the forecast and it appeared that the high temps for our trip this day would be about 93F…. wrong…. at one point the bike indicated it was 103F. We made it to the beach, 523 miles, in about eight hours. We made several stops and took a long lunch to cool off. I drank four bottles of water, two sodas, two glasses of tea and a glass of water today. One has to stay hydrated, right! 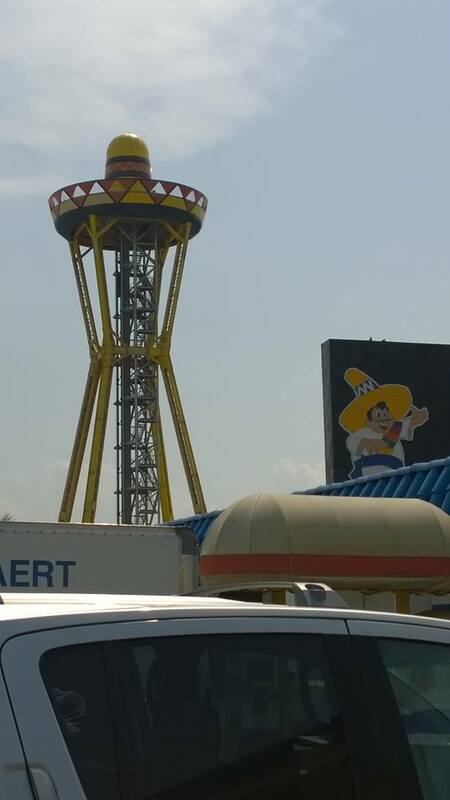 Of course if you travel I95 you must stop at South of the Border! 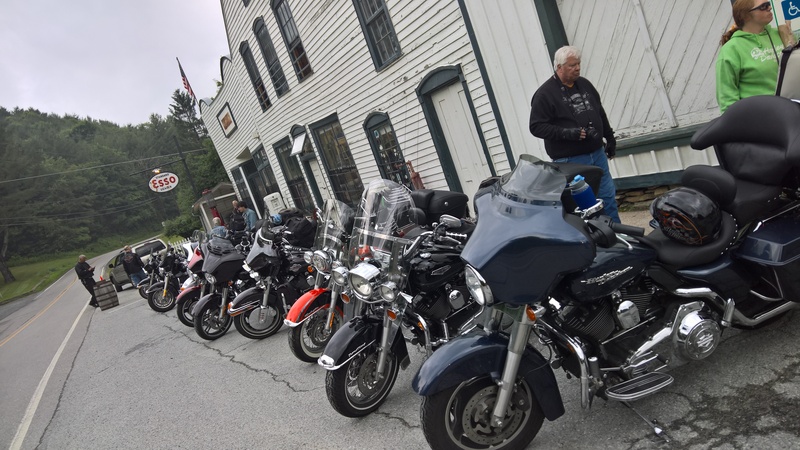 After a few days here we are going to ride over to the “Wheels Through Time” motorcycle museum and then maybe up the Blue Ridge Parkway. Also I am using this trip to evaluate some new “things”. First, Viking Bags has asked me to review one of their “Tail Bags”. Next we are looking at our Nolan helmets a lot closer, this is the longest ride with these helmets and lastly I bought a new pair of Kevlar pants so you can expect a review of those pants in the future. After watching the first two episodes of this season I am….disappointed. After a first season of decent shows I expected a second season of great shows. I don’t know if they have a new director or producer (I could look that up, but I won’t) but the overall implementation of the show leaves me wanting to go back to last year. In the first show Dale was sent to a GPS location to find an old Excelsior. He had received a hand written note, which looked like a third grader was the author, with directions to the “secret location”. Along the way Dale grabs a deep pocket friend to pay for the bike, if they can find it. When they reach the secret location of the bike they find a garage of old parts and Harleys but no Excelsior, then they look in the rafters before “discovering” a door to the other part of the garage. Each time they enter the rooms for the first time a camera team seems to have magically appeared inside. In the end they find another third grade level note asking for $80,000 dollars for the bike. They put the money in a cigar box and leave. It was a corny as it sounds. The second episode was not any better. Here Dale was on the hunt for the long lost “Road Dog”, the largest, ridable motorcycle built. Except it was not really lost, and shots of Dale peering through holes in a barn wall going “is that it” were almost cartoonish (again the camera team magically gets their firs). 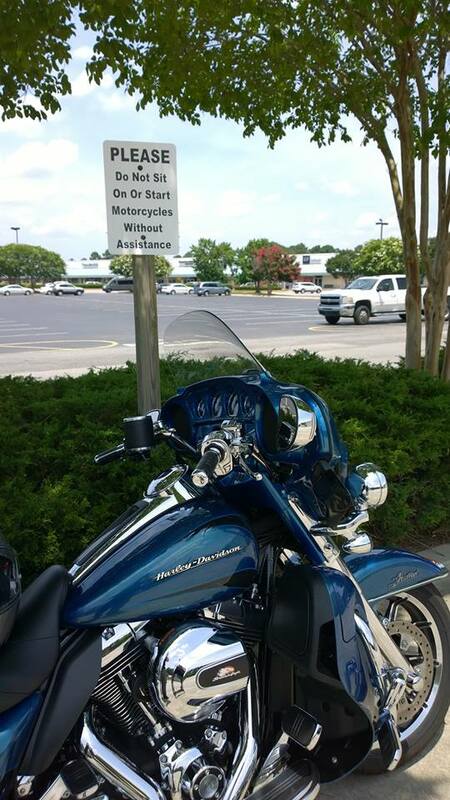 Turns out that a local Harley Davidson dealer had already bought the bike for his dealership (oh, and it started right up). The story behind the bike is very interesting and watching Dale ride it at the end was worthwhile. All in all I am not a big fan of the new product. I will still watch the show as the content is good but the attempted “made for TV reality show hype” needs to stop as you DO NOT NEED IT. Same rating as last year 3 out of 5 stars. 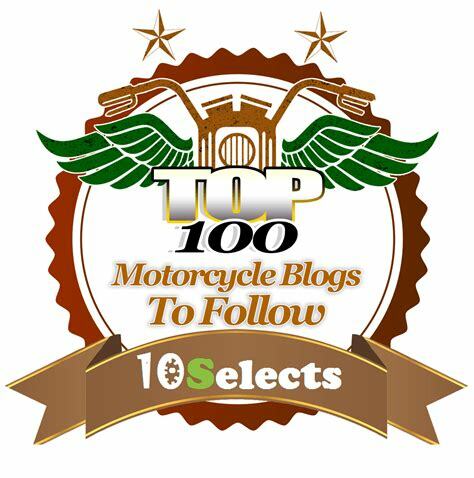 Motorcycle TV: What’s In The Barn …. New season tonight. According to my DVR there are two new episodes of this show starting tonight (June 10th). A check of the Velocity Channel’s website did not indicate that a new season was starting, or I overlooked it. A Diamond In Dodge City – Dale is hired to buy an Excelsior but may buy if for himself. Biker Lore – Dale is on the trail of the largest motorcycle ever built. I reviewed the show last season and gave it 4 out of 5 stars (you can read that review here). I would expect that the production values have only went up so it might get to 5 stars this year. It would be nice if the Velocity Channel would update their website.